Hornbeam (Carpinus betulus) is a deciduous plant which can be used as an alternative to Green Beech (Fagus sylvatica) as it is more tolerant of adverse conditions such as wet areas. 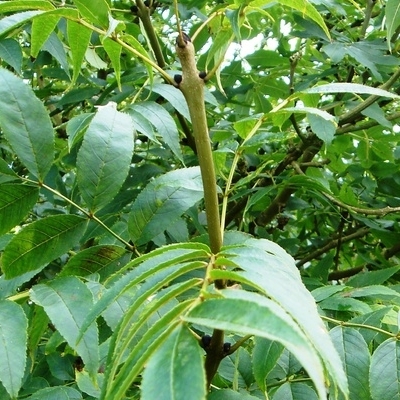 The leaves are deeper veined and have a noticeable serrated edge and turn from green in summer to a pale chocolate brown in winter. Use for... any kind of formal, tidy hedge. Great for filtering noise and pollution, and also for wildlife. Growth rate... average to fast 30-60cm per year. Ideal hedge height... Hornbeam (Carpinus betulus) is a versatile hedging plant, ideal for any height from 90cm up to 5 metres or more. 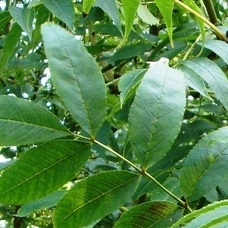 Situation & soil... Hornbeam (Carpinus betulus) is a tough and resilient plant which is tolerant of most situations including wet sites and frost pockets as well as being suited to shady sites. We recommend Rootgrow and Bonemeal when planting to get your new hedge off to a great start. Plant description... these are 150-175cm high plants in 4 litre pots still easy to transport and easy to plant. A typical plant may be seen in the photo above. Planting distance... for a Hornbeam (Carpinus betulus) hedge we recommend 3-4 plants per metre in a single or staggered double row. Planting season... these are pot grown plants available for planting all year round. Other species to consider... Green Beech (Fagus sylvatica) is a more colourful alternative with its rich copper winter foliage, or Purple Beech (Fagus sylvatica purpurea) for the vibrant red summer foliage although neither of these plants would tolerate wet conditions. Delivery information...larger plants are delivered on pallets free of charge on all orders over £250 (our minimum order requirement). This is normally a two to three day service and the pallet can be left on a driveway without a signature. Pallets are booked in giving the added advantage of knowing the delivery date in advance. Complete delivery information can be found on our delivery page.